The Rico cut is unfiled and features a thinner profile and blank. 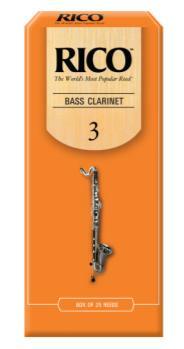 Rico "Orange Box" reeds vibrate easily. They are a favorite among jazz musicians and are ideal for students. Rico's updated reed-making machinery and state-of-the-art process have made today's Rico reed more consistent than ever before. Affordably priced and conveniently packaged, Rico is the educator's choice.